Up until now, we have had little knowledge of what the state of unconsciousness was like from the patient's point of view. Surprisingly, in a state considered void of human experiences, Lawrence found that the events subjects reported were extraordinary. Her research in hospital units and in the literature reveals that more than 70% of the individuals who regain consciousness remember events during their unconscious period. They heard and understood conversations, had inner dialogues, recognized their emotions, and went out of their bodies. As would be expected, some of the patients' experiences are the now-recognized classic NDEs (near-death experiences). The author also includes descriptions of related research from nursing, medicine, psychology, and parapsychology. The phenomena described in the book are not easily explained by the paradigm of one discipline. It is the author's point of view that because the phenomena crosses the lines of many disciplines, the answer to understanding and explaining the experiences can be obtained only by using theories and research methods from a variety of related disciplines. The integration of research from such varied disciplines brings a unique perspective to the chapters. Also included are suggestions for caregivers and families about what can be done for patients during their unconscious episode and after their recovery. A medical professional is the first to describe what it is like to be unconscious from the patient's perspective. 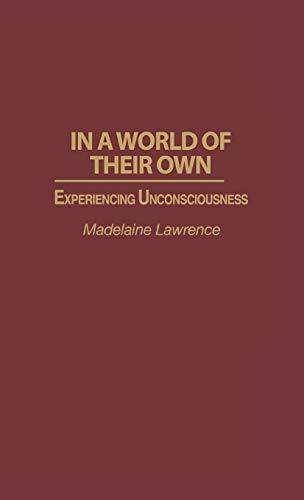 The scientific literature rarely discusses total unconsciousness, but this valuable book recounts 100 hospital patients' "lived experiences of being unconscious"...Lawrence does a commendable job of summarizing explanatory mechanisms from studies in sensory deprivation, personality theory, pharmacology, biophysiology, and parapsychology...there is much welcome information here.